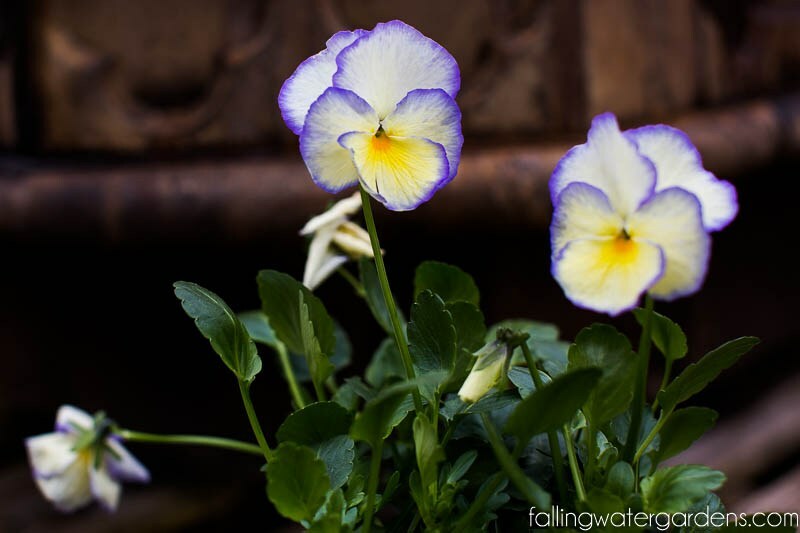 Here are April’s featured plants that we have available for purchase at Falling Water Gardens nursery. We think this selection would look great in your garden right now. 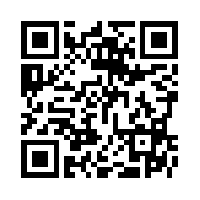 Visit our plant database to learn more about aquatic & terrestrial plants. 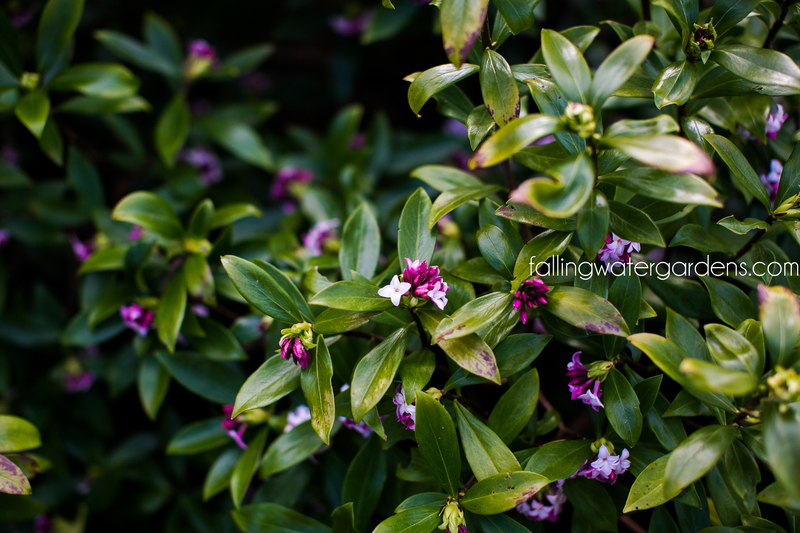 This Daphne stays in bloom for three whole seasons. Even during the winter, the leaves remain a striking shade of deep emerald green. 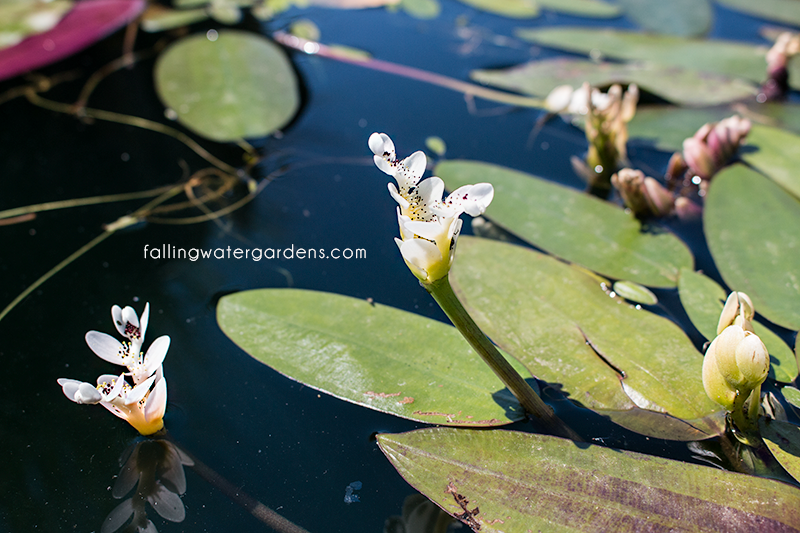 Most of the blooms have at least four petals each, in shades of white and pale pink. This is an incredibly versatile plant, able to flourish equally well in small planters and left to grow into bushes outdoors. Daphne is a shrub, and even one can fill an entire patio or enclosed porch with it’s strong, distinctive aroma. Plant shrubs at intervals within your existing garden arrangement, or create a hedge out of multiple Daphne plants. Its long life cycle means that there is enough time to enjoy its blossoms in full bloom, even if cold weather extends into the spring months. A hardworking, compact perennial, ‘Etain’ violet forms well-behaved clumps and blooms from time to time from spring through fall. The attractive, fleshy, bright green foliage needs protection from slugs. Water Hawthorn is known for its strange white flowers, spotted with black pollen and strong vanilla fragrance. 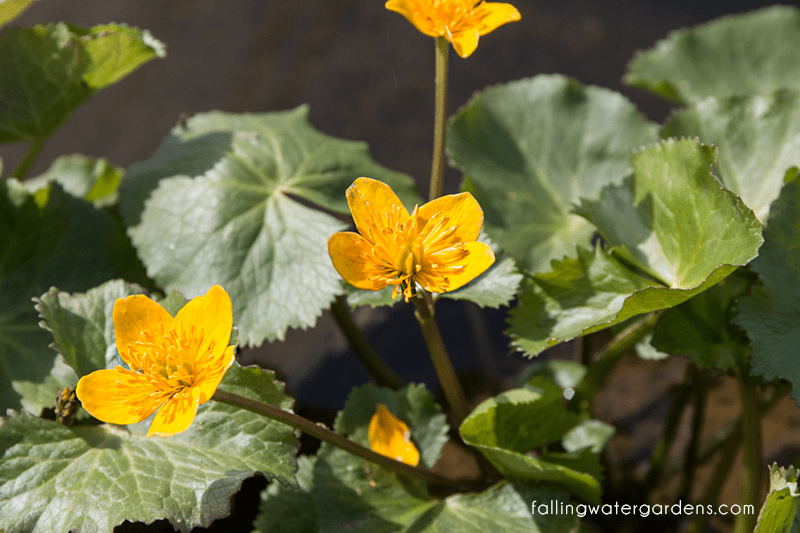 Its oblong leaves will rest on the water surface, as this very bizarre plant prefers cooler waters, often blooming in the Spring and Fall, while going dormant in the Summer. Aptly named, this unique rush with glossy green, pencil-thin stems that spiral outward from the clump in all directions. A great deer-resistant accent plant that collectors dare not do without. This low maintenance plant prefers to be sited in a bog or other very moist environment in partial shade. Evergreen in mild winter areas.